Kadriorg Palace and Kadriorg Park will celebrate the 290th anniversary this year. 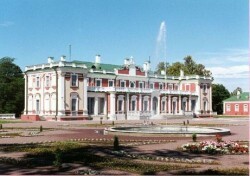 The jubilee will be marked out by the exhibition "The Palace and Its Story" at Kadriorg Art Museum, accompanied by a series of guided tours and lectures within the Saturday Academy, the premier of a documentary in July and a richly illustrated album on Kadriorg Palace coming out at the end of the year. The events of the anniversary, taking place at Kadriorg Art Museum and in Kadriorg Park, will be described in a special edition "Kadriorg 290" issued on May. The history of Kadriorg Palace – one of the finest Baroque ensembles in North Europe – dates back to 1718. On July 22, 1718 Russian Tsar Peter the Great, assisted by the Italian architect Niccolo Michetti, began the building of the palace and the park to a picturesque spot near Tallinn, later on renamed Kadriorg after Empress Catherine I. The jubilee season is launched by the exhibition "The Palace and Its Story", spotlighting authentic objects, documents, works of art, blueprints and pictures, thus illustrating the historic layers of the palace and entertaining the visitors with the air of the past centuries. The vestibule and some other rooms in the main building, as well as some of the stoves have retained their 18th-century appearance. The park was named Kadriorg (Catherine�s Valley) after the empress Catherine I. Most of the Russian rulers, from Peter�s daughter Elizabeth, to the last Romanov emperor Nicholas II, have visited this imperial summer residence. From 1921 the Estonian Museum in Tallinn was situated in the palace. In 1928 it was reorganized into the Art Museum of Estonia. From 1929 the palace served as the residence of the Estonian head of state (from 1938 president). The building was renovated in 1933-34. The banqueting hall after the design of the architect Aleksander Vladovsky was constructed at the back of the palace. Some rooms were refurnished in Estonian national romantic style after the designs of the architect Olev Siinmaa. From 1946 until 1991 the palace housed the main building of the Art Museum of Estonia. Due to the deterioration of the building, large restoration works were started. The government of Sweden supported the works that lasted over 9 years, with 21 million Swedish kronor. Several smaller buildings belong to the palace ensemble. Most of them have been renovated by now. The 18th-century pavilion (Lusthaus) and the guesthouse from the beginning of the 19th century housed the restoration workshops of the Art Museum of Estonia until the department was moved to Kumu after it's opening in 2006. In 1997 a new museum introducing the private collection of Johannes Mikkel was opened in the former kitchen building of the palace. The wooden guards� house opposite the gates of the palace that was originally built at the beginning of the 19th century has been completely restored. The territory of the park that was planned together with the palace was originally over 100 hectares. Its central part will be restored as an Italian-French regular park. The Flower Garden behind the palace has been renovated after 18th-century examples. The Lower Garden in front of the palace is waiting for its turn. Guided tours must be booked in advance (at least one week). 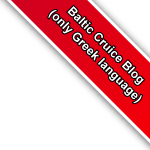 Guided tours are available in Russian, English, Finnish, Swedish, German, and French. NB! The admission fee to the museum will be added to the cost of the tour. All the guides have been trained by the Kadriorg Art Museum. After brief introduction into the history of the Palace, the tour will turn it's attention to the magnificent art works exhibited in Kadriorg Palace - from the 16th century Netherland paintings to the 19th century Russian realism. Artworks by Pieter Brueghel the Younger, Jan van Kessel, Bartholomeus van der Helst, Annibale Carraci, Bernardo Strozzi, Lucas Cranach, Ilja Repin, Ivan Aivazovski, Ivan Šiškin and many others. A joint tour in the Palace and in Mikkel Museum.